Finding your rhythm is fun and easy with the First Act Percussion Pack. 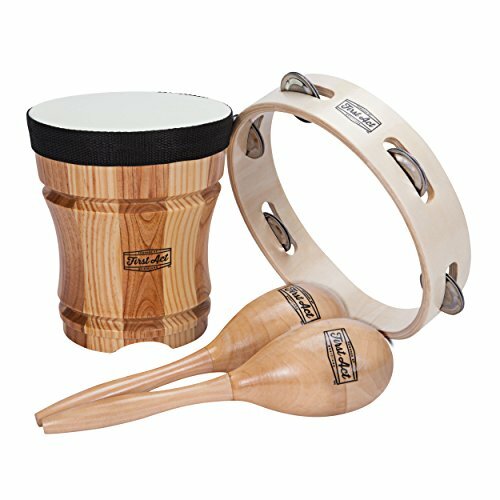 This wonderful assortment of handcrafted wooden instruments features a hand-held bongo drum with a pre-tuned natural head, a full-size tambourine with chrome-plated jingles for clear, crisp sound, and a pair of crisp-sounding maracas. All instruments are made of solid wood with a natural finish. With the Percussion Pack, you're well on your way to making beautiful music. Suitable for age 14 years and up.